Pam Mod or Harvest Craft Mod for Minecraft provides a liberty to to grow what ever you want. 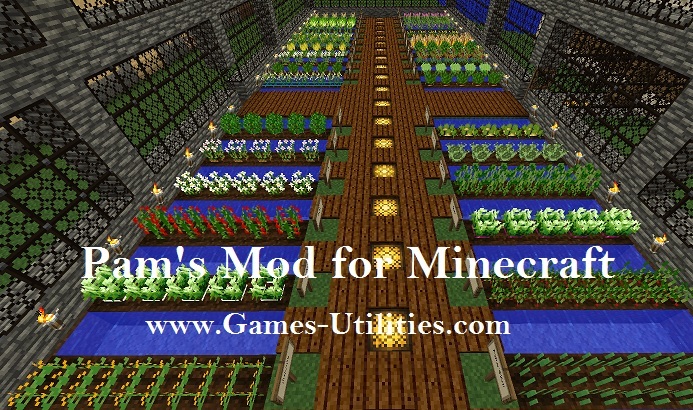 Pam’s Mod for Minecraft has several features in it like you can grow Clay, Fruits, Vegetables, Crops and much much more. There are some sub versions of this mod which are particularly assigned for different items but you can choose your desired one. So check it out yourself. Description: A harvesting mod for Minecraft. Added over 150 new foods and even more recipes (brings up the food count to over 250 unique items) to the HarvestCraft Base mod. These foods come from all the new crops, trees, and bushes I’ve added without recipes plus a lot more. Enjoy! We hope that you will have a real fun while playing this mod. So have fun and keep coming here to check the latest updates of your favorite game online.